With the current racial tensions in America, there's never been a better time for a strong black superhero to be patrolling the city streets protecting the innocent, and a bulletproof one at that. 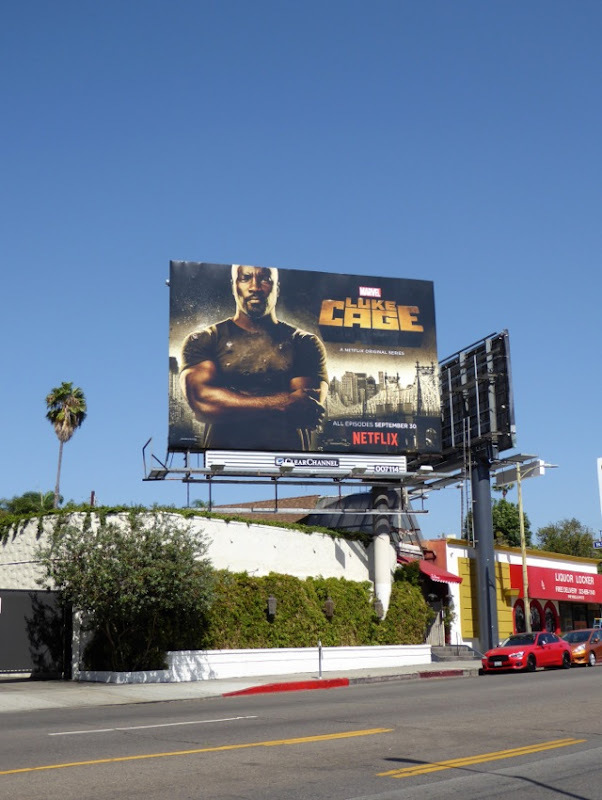 'Luke Cage' becomes Marvel's latest street-level hero to stream on Netflix and sees Mike Colter go solo after starring alongside Krysten Ritter in the acclaimed Jessica Jones TV series. This 'Hero for Hire' has come a long way since his 1970s comic book debut in tiara, chain belt and yellow silk shirt when he was created by Archie Goodwin, John Romita, Sr. and George Tuska. 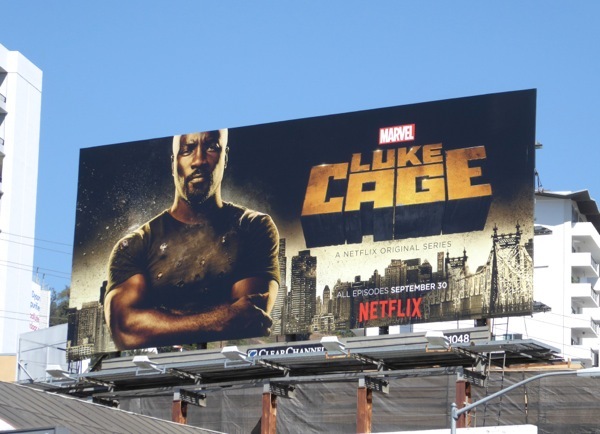 Also known as 'Power Man' and for partnering with martial arts expert 'Iron Fist' in stories published by Marvel Comics, this new live-action series will delve into his ex-con origins, the experiment that went wrong and changed his life, and his path to using his powers to become a neighbourhood hero on the streets of Harlem. 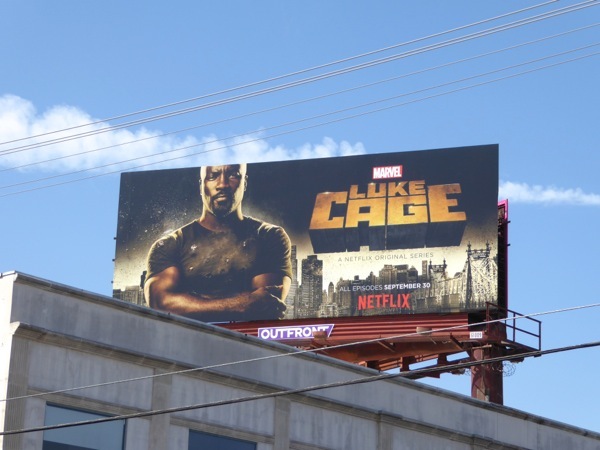 Get ready for some familiar faces from the Netflix TV shows and comic books too, like Rosario Dawson's nurse 'Claire Temple' and the introduction of police detective 'Misty Knight' played by Simone Missick. 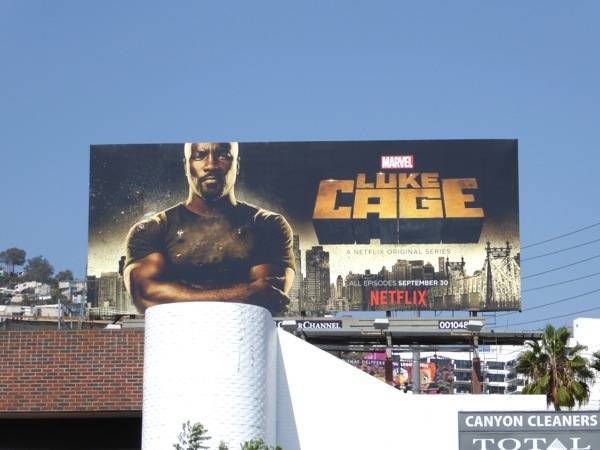 You can also expect expect Luke Cage to have his own rogues gallery of villains from crime bosses to crooked politicians, played by Mahershala Ali and Alfre Woodard respectively, as his past comes back to haunt him. 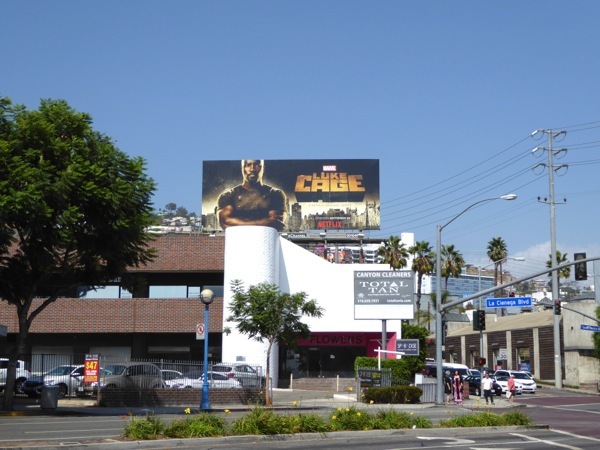 These series launch billboards were photographed above Santa Monica Boulevard, Beverly Boulevard and along the Sunset Strip on September 22, 2016. 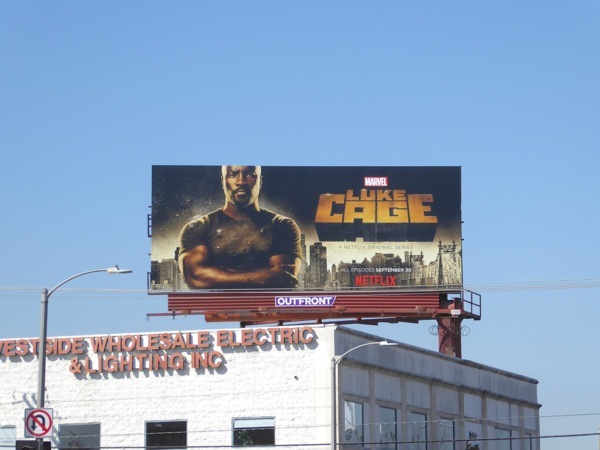 For more mighty Marvel television shows, be sure to also check out these cool Daredevil TV billboards, these Jessica Jones TV billboards, these Marvel's Agents of S.H.I.E.L.D. 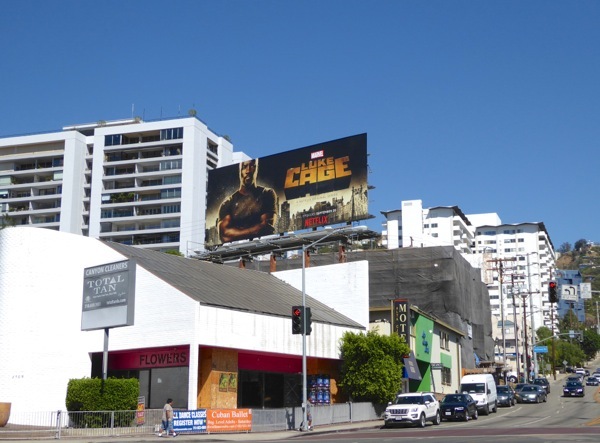 billboards and this billboard for Marvel's Agent Carter. 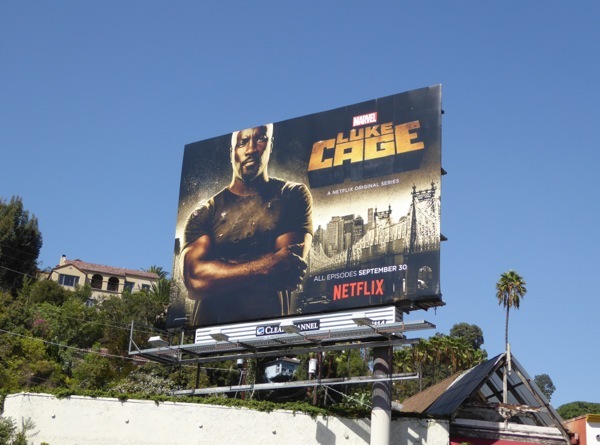 And don't worry if you binge-watch Luke Cage too fast, you won't have to wait too long to see him again when he teams up with his other Marvel Netflix heroes in The Defenders television series.